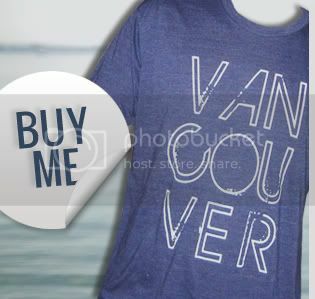 Vancouver, we love you [the t-shirt project] has officially launched and we couldn't be more excited about it!! We feel like we've been holding on tightly to this amazing secret and wanting to tell everyone about it for weeks, but more importantly wanting to have everything in it's proper place first. Well, now it is and we're pretty gosh darn excited to tell everyone about it. We had an awesome photo shoot with local photographer Jamie Delaine who takes some of the best pictures ever. Ever! Shirts have never looked as good as ours, thanks to the wonder of Jamie. We also rounded up all of our favorite friends to be involved in the photo shoot and promo video. If you listen to music, you may see some familiar faces. As excited as we are to have launched the project, now the real fun begins.... YOU taking pictures in your shirts to send to us! This website is all about you. 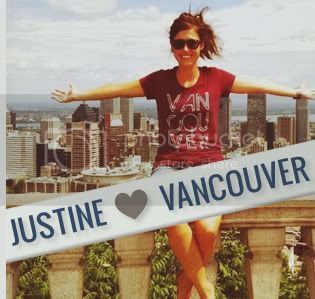 What you love about Vancouver and why. So please, buy a shirt. Take a picture. And send it to us with a short write up about the location for us to post. And don't worry, you can do it more than once. It's pretty hard to find just one favorite Vancouver spot. Let's show off the best of this city. 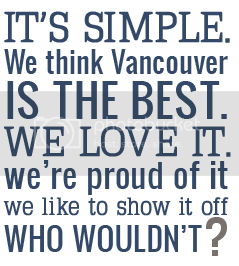 Because Vancouver, we love you.